R-DBAS aims to provide direct reentry alerts to affected land, sea, and air craft (Credits: Kristhian Mason). The Reentry Direct Broadcasting Alert System (R-DBAS) is an evolution of the Reentry Breakup Recorder (REBR) concept, often called the black box of spacecraft. But unlike the REBR, which simply downloads data via satellite link for later analysis, the R-DBAS is intended as a direct communication tool with the end user. As a spacecraft carrying R-DBAS hits the atmosphere, it relays a message with the coordinates of the falling debris area to anyone with a receiver and a display, such as a laptop or iPad , warning them of the hazard. Despite increasing efforts to accurately predict space debris reentry, the exact time and location of reentry is still very uncertain. Partially, this is due to a skipping effect uncontrolled spacecraft may undergo as they enter the atmosphere at a shallow angle. Such an effect depends on atmospheric variations of density and winds that are difficult to model. When the skipping ends and atmospheric reentry starts, the trajectory and the overall location of surviving fragments can be precisely predicted but the time to impact the ground or to reach airspace is at that point very short. All of these factors together mean that population centers, ships, and aircraft have very little time to respond to incoming space debris. A GPS localizer combined with a pre-computed debris footprint area and direct broadcasting provides a solution. 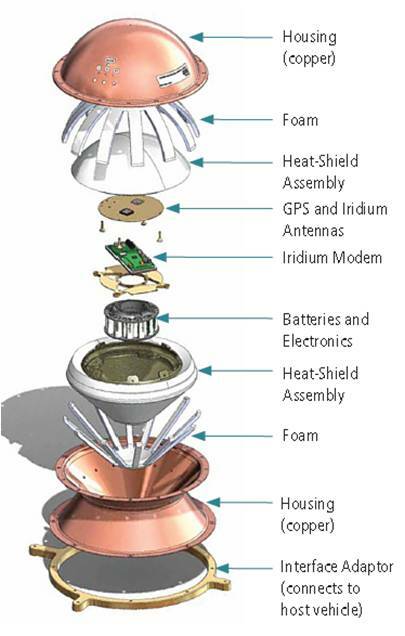 Schematic of the existing Reentry Breakup Recorder (Credits: The Aerospace Corporation). The risk to aviation is particularly high, since debris over 300 grams can be catastrophic to an aircraft, but suspending flight over a vast swath of airspace for the weekly occurrence of a reentering spacecraft or rocket upper stage would be extremely costly. Operators hold out for more precise information before taking such a step. R-DBAS is intended to provide that more precise information directly to the cockpit. By equipping aircraft and other vulnerable systems with a simple receiver that can be attached to a common laptop, escape maneuvers can be performed, as is done to avoid bad weather, or shelter can be taken on ground. Much like the REBR, the R-DBAS is designed to release from its host vehicle when it experiences significant heat, which melts the attachment point and closes the power circuit. 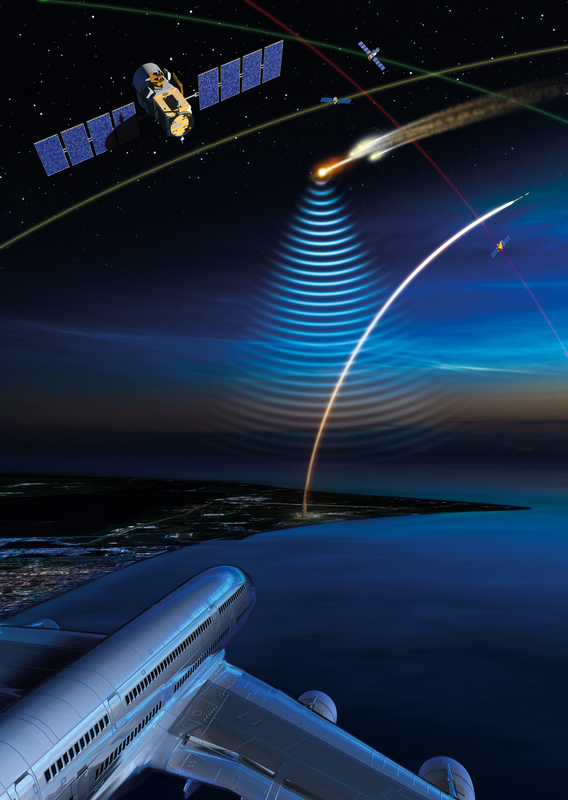 Once activated, R-DBAS determines its own location and computes the final coordinate of the preloaded debris footprint that is then broadcasted to anyone holding a receiver in the proximity of the hazard area. According to Tommaso Sgobba, R-DBAS inventor at ESA, an airplane would have about 5-7 minutes to get out of the way. With a typical hazard area being 1,000-2000 km long but very narrow, 30 -70 km, an escape maneuver from the risky area can be readily performed or the aircraft could hold its position until it is safe to cross the hazard area.